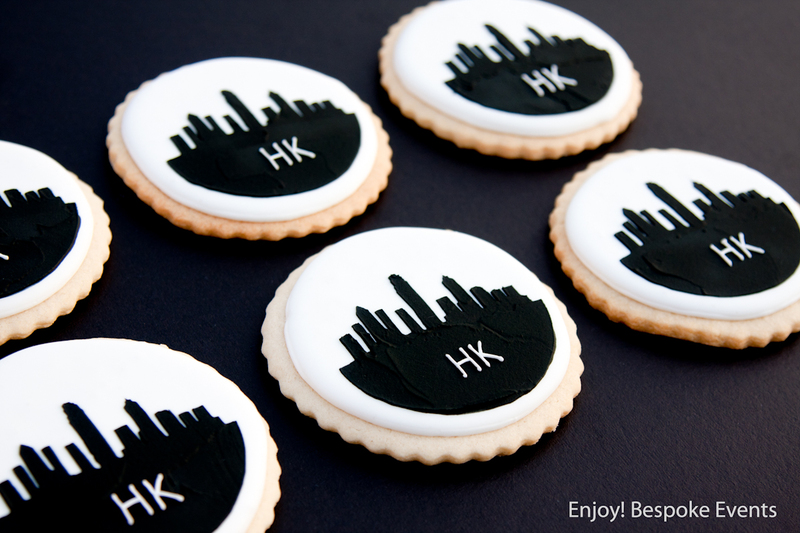 We are super excited to be included in Little Steps’s latest feature on the Best Birthday Cakes in Hong Kong! Being a busy mama, I find Little Steps so useful for keeping up with what’s going on in Hong Kong. The lists they compile on party planning, cakes, photographers etc are all super informative and I instantly bookmark them for future reference. So you can imagine our delight in being included in this feature. Sometimes you need cake that’s not too girly. 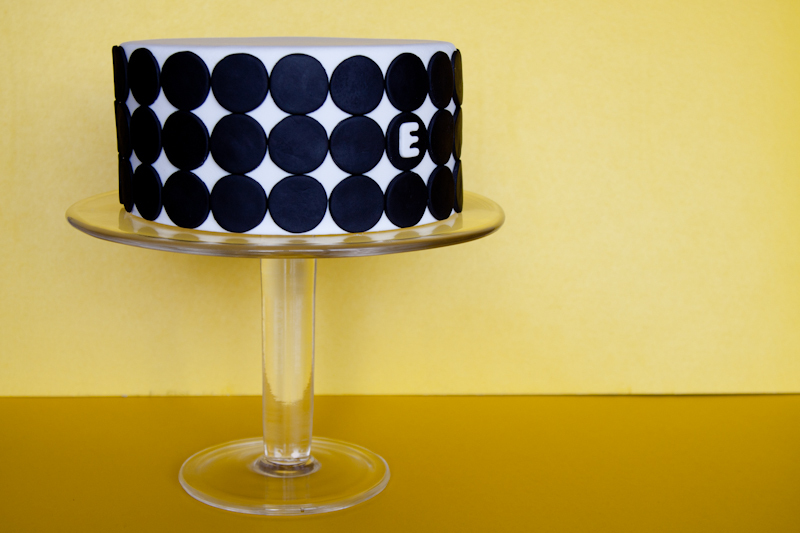 This weekend I made one that features a bold graphic pattern, simple but striking. With just a small embellishment to customise it for the birthday boy. Cake flavours were quite grown up too – a rich coffee cake studded with walnuts and interspersed with layers of fluffy buttercream. 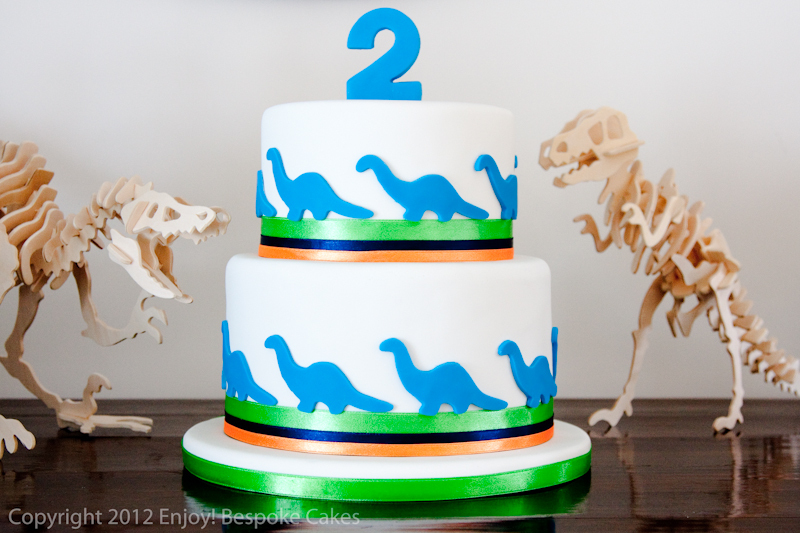 This cake would also look really spectacular with multiple tiers and with different coloured dots. Images via Enjoy! Bespoke Events. 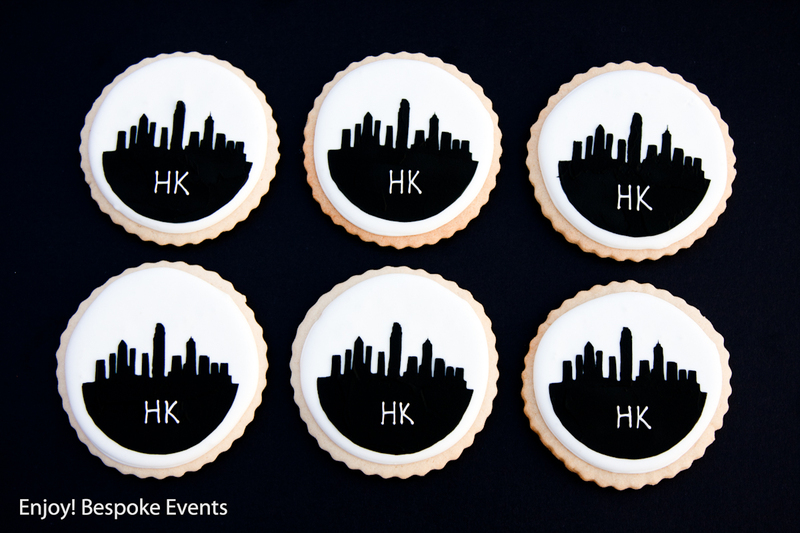 Last week I made cookies for a fundraising event. 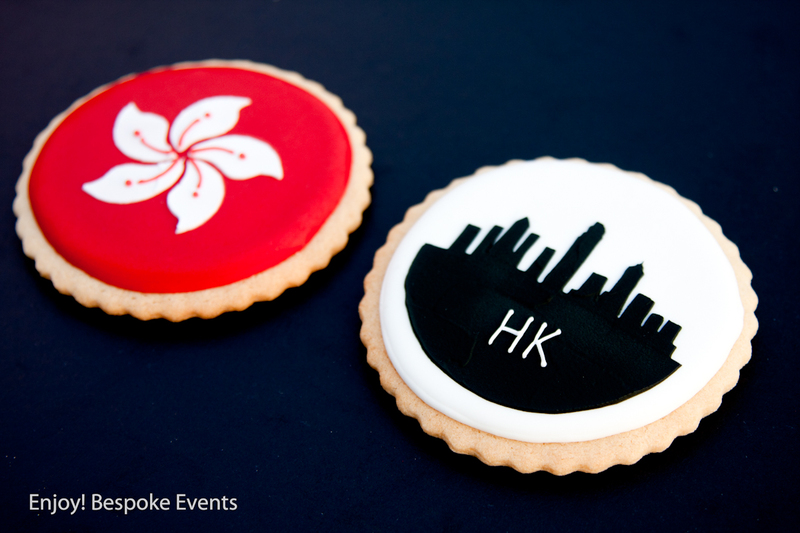 The theme for the event was “My Hong Kong” so I really wanted to capture the iconic and unique aspects of this vibrant city. 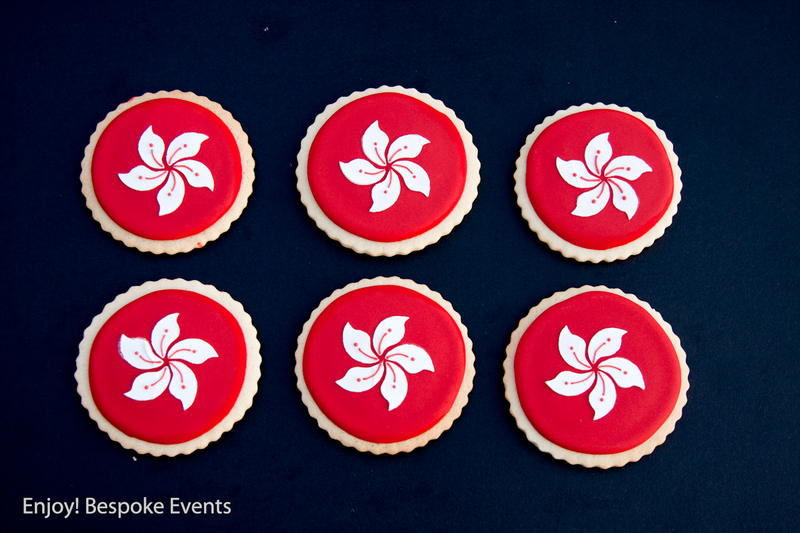 What could be more Hong Kong than the bauhinia flower which graces the flag of the city and the instantly recognisable skyline of Hong Kong Island? I was told the cookies went down a treat at the event and I hope they were able to raise a good deal of money! 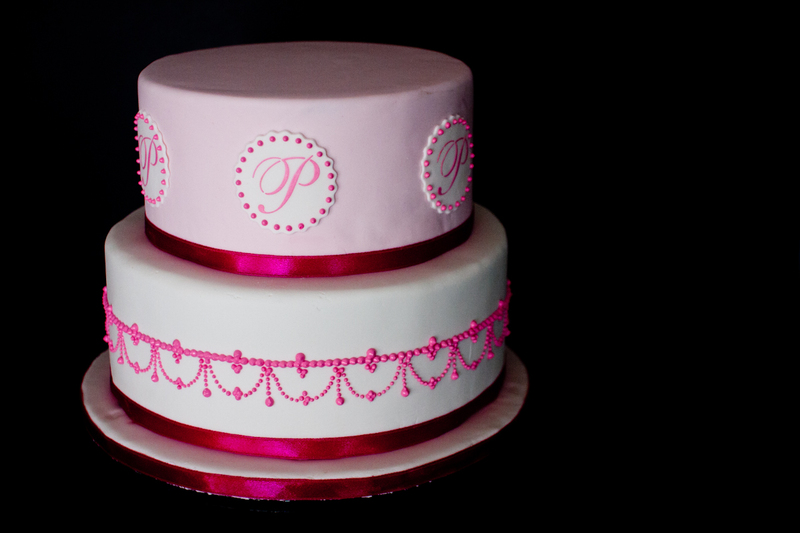 Last month I made this pretty pink cake for a girl who wanted to have her initial featured on the cake. 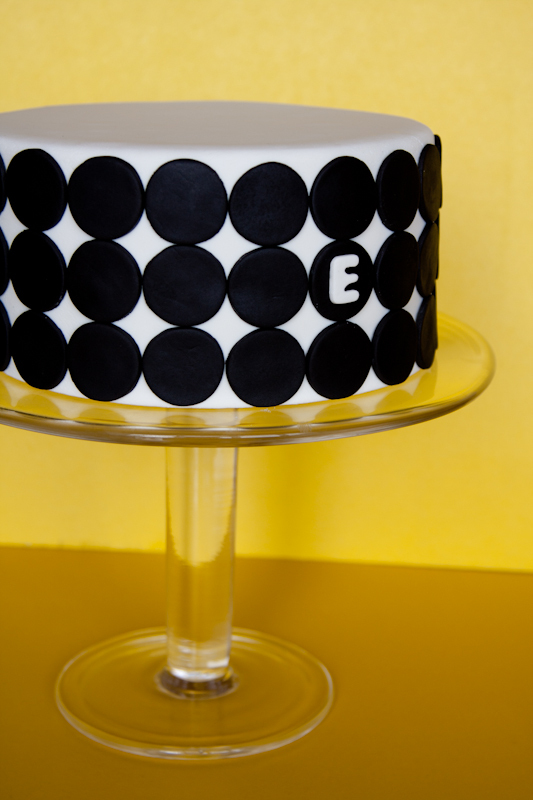 The top tier features her monogram proudly displayed all round the sides of the cake. 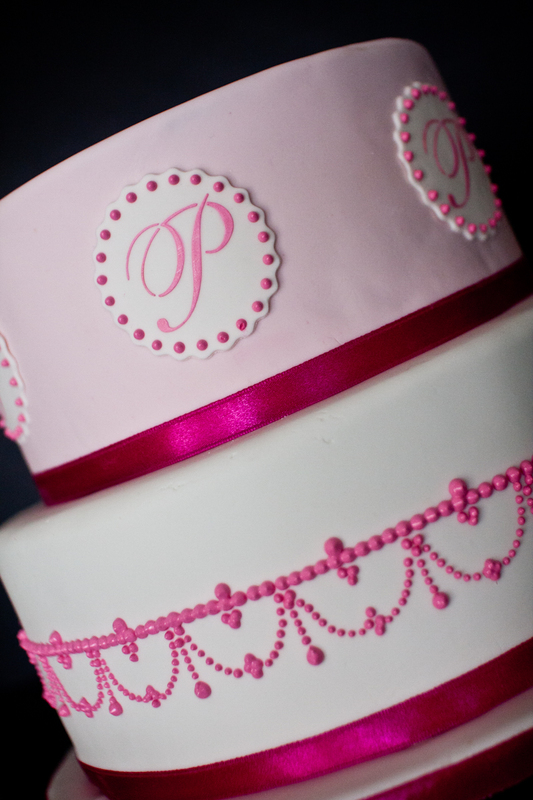 And the bottom tier has swoops of delicate pearl drops to add a touch of girlish whimsy. All done in shades of cherry blossom and fuchsia pink. I loved making this super girly cake and indulging in all that is pink and pretty! 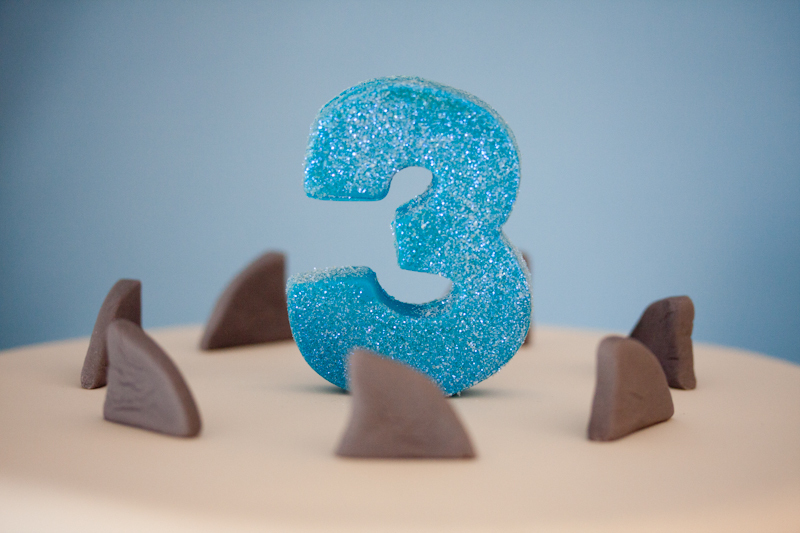 A couple of weeks ago I made a shark cake for a 3 year old’s birthday party. 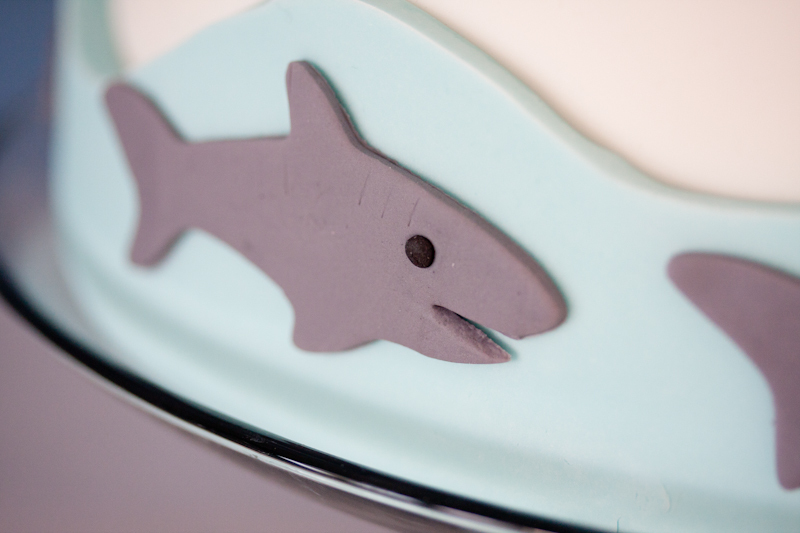 The colour scheme was kept simple with a range of aquatic blues and whites. 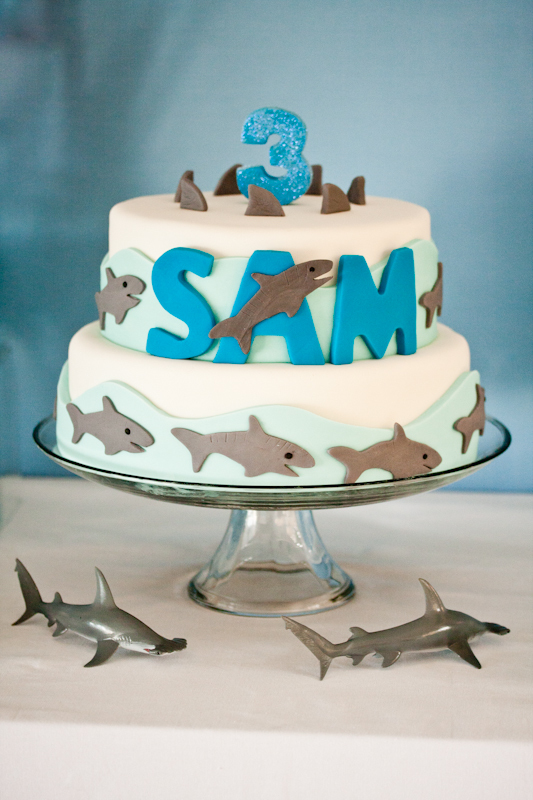 The two tiers added plenty of height and drama while allowing for plenty of swimming space for the sharks! 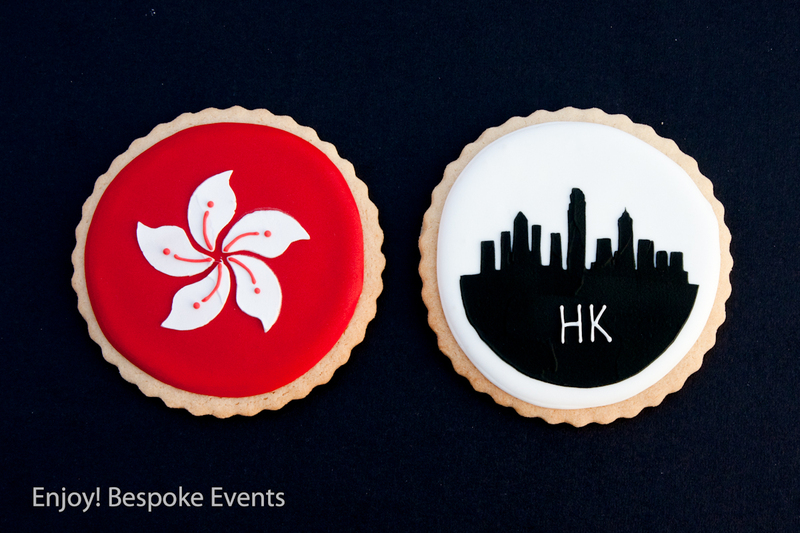 Images via Enjoy Bespoke Events! 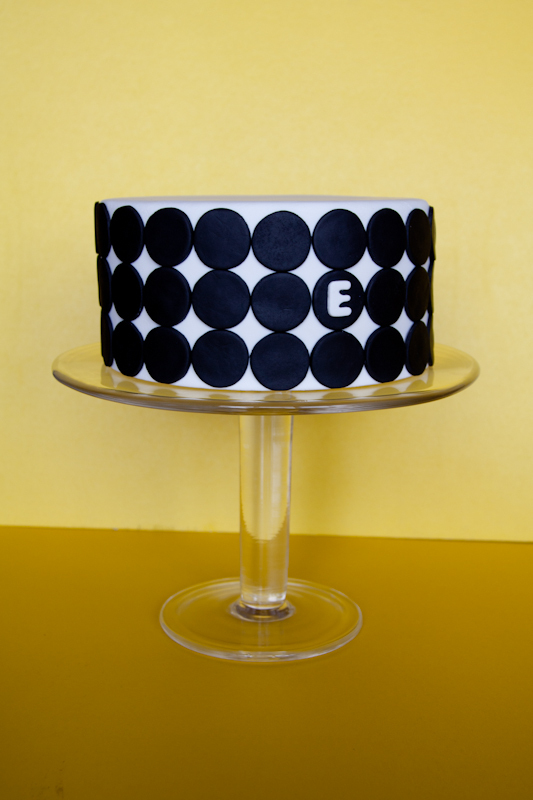 Last weekend we created a cake for a special Sweet Sixteen birthday. Such a milestone birthday definitely deserves a spectacular cake to mark the occasion. 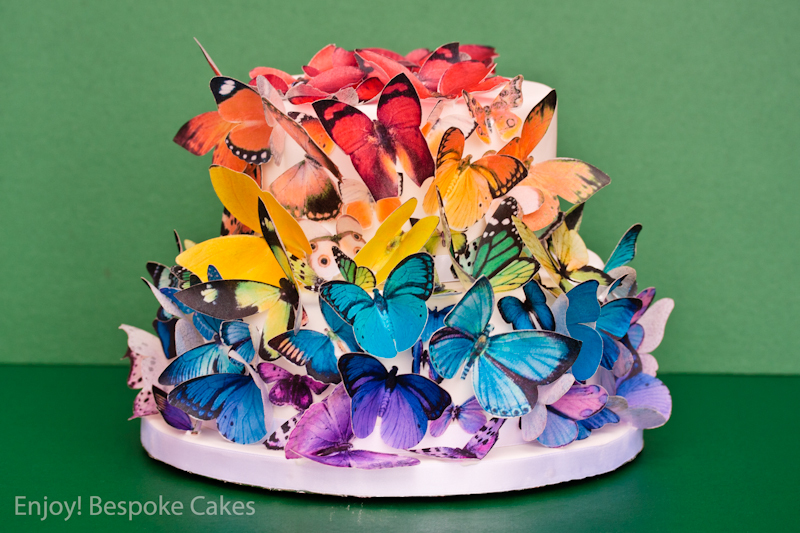 The birthday girl picked one of our favourites cakes ever – our Rainbow Butterfly Cake! I truly loved making this cake, it’s just such a pretty and happy cake and never fails to bring a smile to my face. 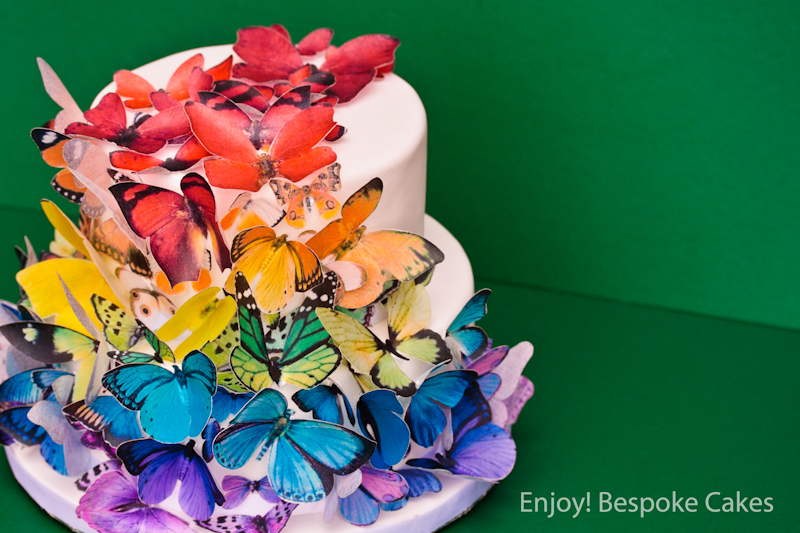 The cake is a riot of colour with hues from the whole rainbow spectrum! 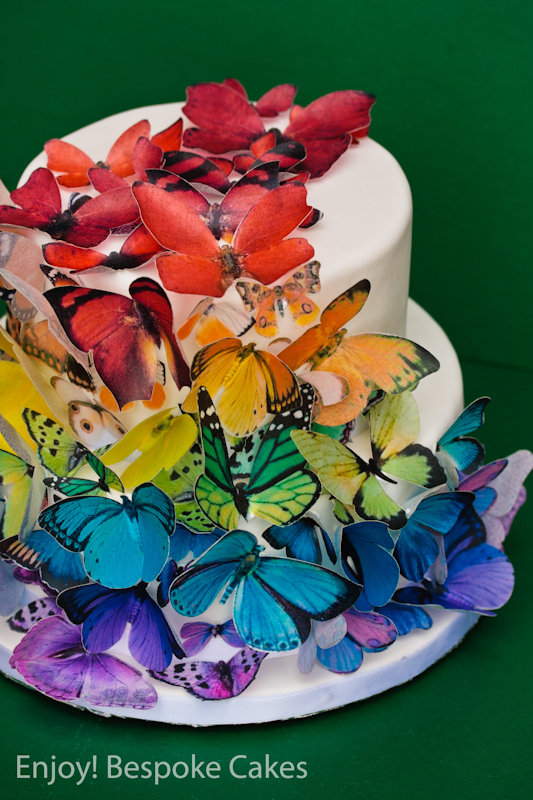 The butterflies are just so pretty with their delicate wings caught in mid-flutter as they rest on the cake. 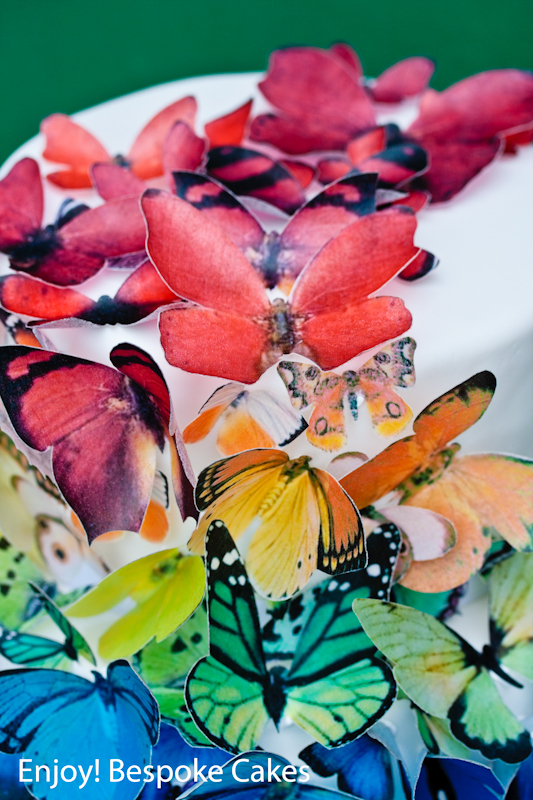 The whole cake is edible as the butterflies are made of vanilla flavoured rice-paper. 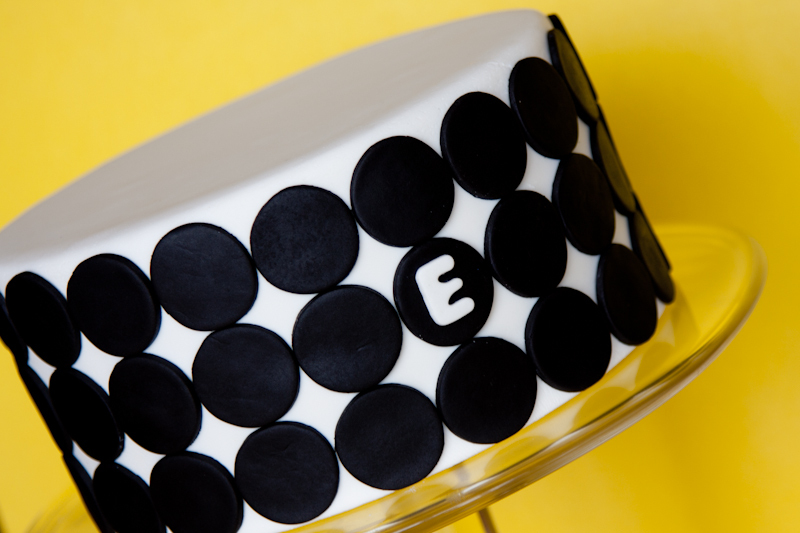 One bonus of having a two-tier cake is not only does it provide extra drama and height (and of course more yummy cake! ), you can pick multiple flavours too! This particular cake had a bottom tier of red velvet cake with tangy lemon buttercream and a top tier of vanilla cake with with strawberry buttercream. Here are a couple more pics of the cake. Enjoy! Happy Halloween everybody! 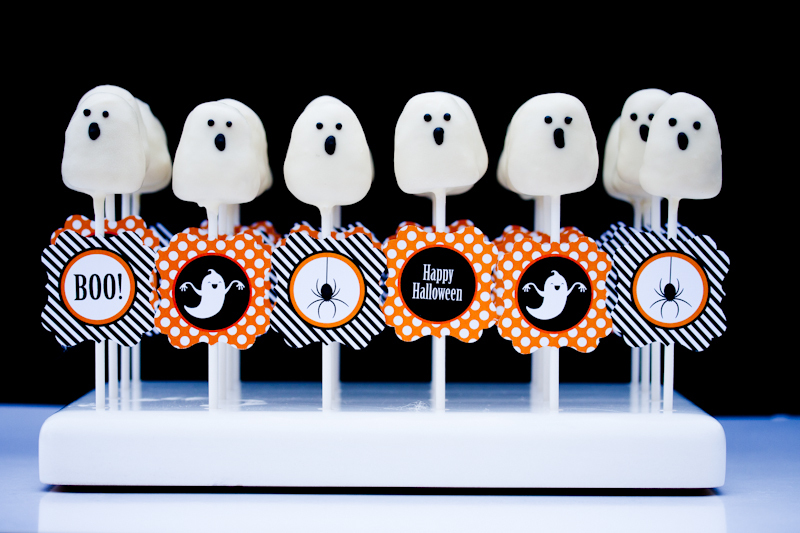 This halloween we made little ghostly cake pops embellished with super cute tags from Megan at The Pitter Patter Press. 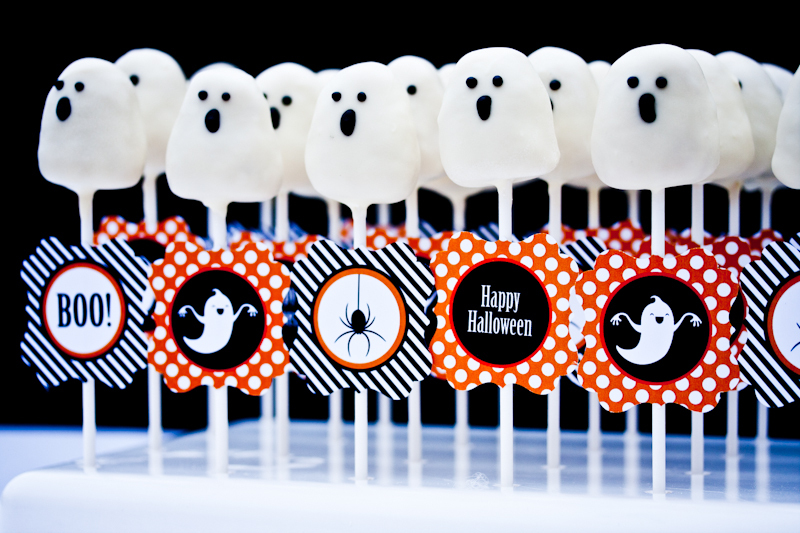 The cake pops were just Old Fashioned Vanilla flavour with Vanilla Buttercream, but they were covered with gorgeously creamy white Lindt chocolate. Super yummy! We made a whole army of ghosts! 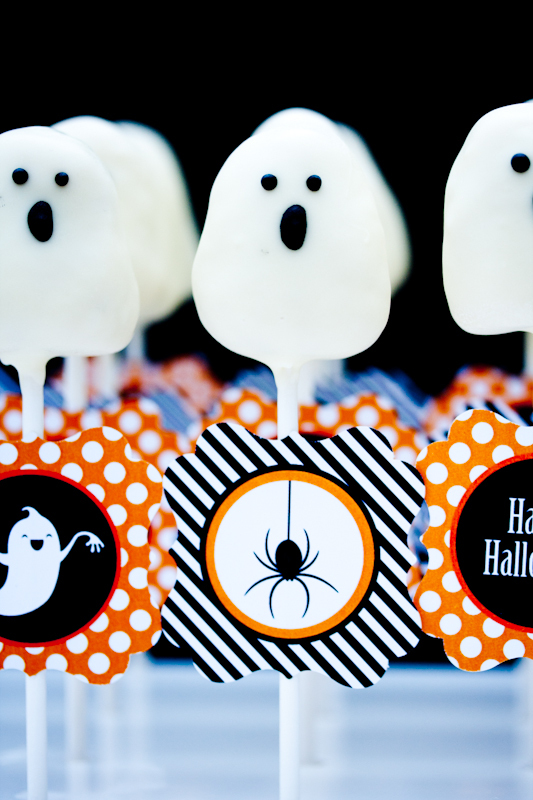 They are scarily delicious. 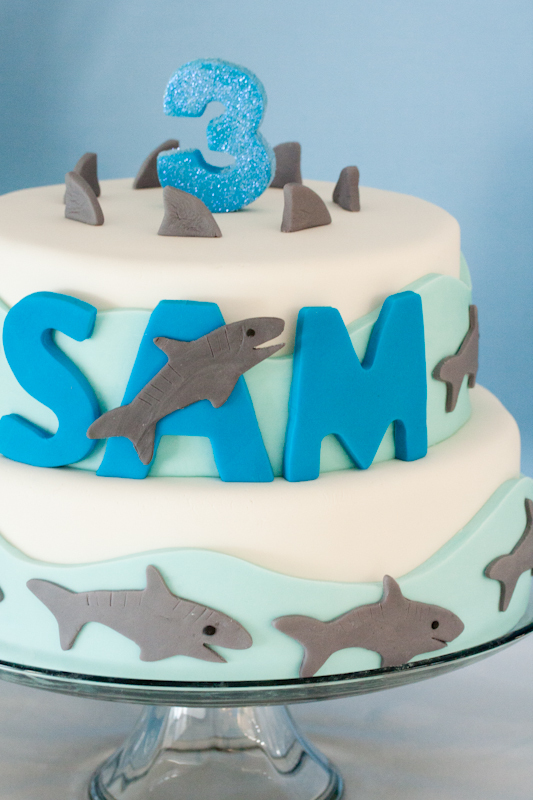 For more of our cake creations, check out Enjoy Bespoke Cakes.